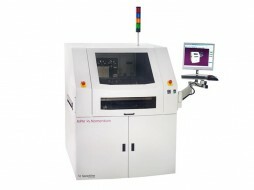 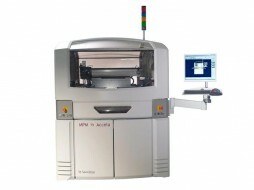 A range of precise SMT stencil printers, ranging from manual to fully automatic. 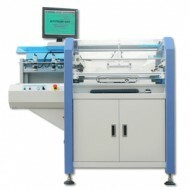 Asia's No.1 Solder Paste Screen Printer Manufacturer for Surface Mount Technologies and PCB Assembly Industries. 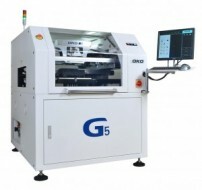 High speed and high precision printer equipped with "Motion Screen"
Combines reliable, robust engineering and MPM performance with an affordable package for optimum value. 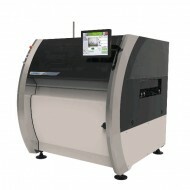 A fast, precise, highly reliable printer that is simple to learn and easy to use, with performance that is unmatched by any other printer in its class. 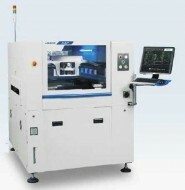 The Accela printer from Speedline is the world’s leading high-throughput, high-capacity stencil printer for PCB manufacturing. 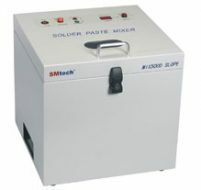 Mixes the solder paste to a liquid state effectively and evenly to achieve better results in stencil printing and reflowing processes.